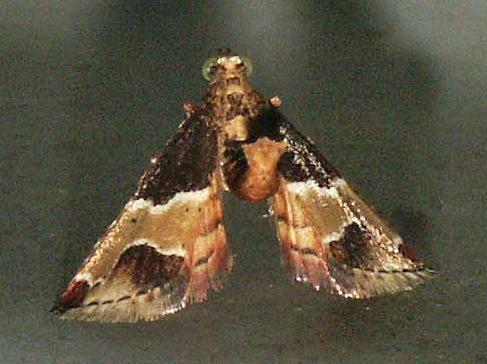 This moth has three wavy black, green, or brown bands, divided by white lines, on each forewing. In its natural posture, it curls the abdomen up over its thorax. The wingspan is about 1.5 cms. Volume 10 (1911), p. 124.